Sky Network and fibre areas only. New Sky Broadband, Talk & line rental customers only. Speeds vary significantly by location. Average download speed shown for fixed line connection to your Hub (excl. Wi-Fi). Prices may go up during your contract. 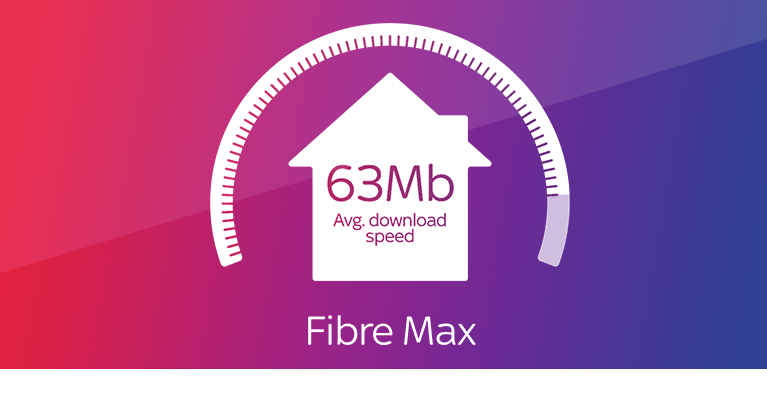 ^Speed Guarantee for new Fibre Max customers Speeds vary by location. 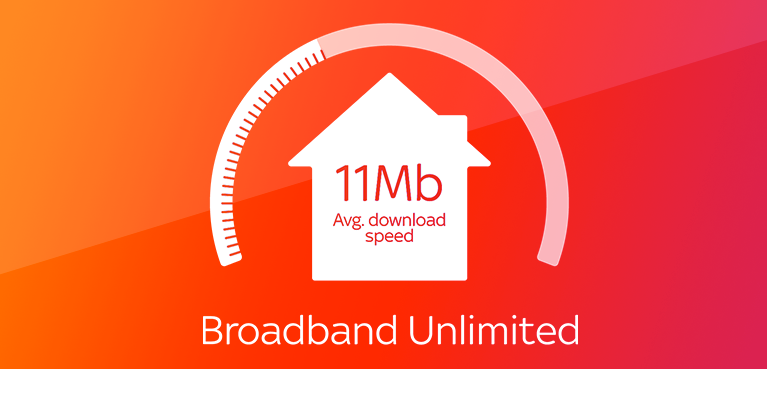 If the download speed to your Sky Hub drops below your Guaranteed Minimum Download Speed within the first 30 days we’ll give you your money back. Speed check must be done using sky.com/mybroadband. Data from third party speed checkers will not be accepted. Guarantee valid for the first 30 days and must be claimed in this time. Further terms apply. See sky.com/speedguaranteehelp for more. Not available to existing Sky Fibre customers. New 18 month contracts. Separate contracts apply for TV: £22pm, Broadband Unlimited (including line rental): £18pm and Sky Talk Pay As You Go: £0pm. Sky network areas only. Offer ends 23 April 2019. Best performing major provider: Sky received the fewest complaints per 100,000 customers measured by Ofcom comparing Sky, BT, EE, Plusnet, TalkTalk and Virgin Media fixed broadband in its latest Telecoms and Pay TV Complaints Report (January 2018). Best customer service: Sky was rated highest for customer service compared to BT, Virgin Media and Talk Talk (providers with over 10% market share) in a YouGov survey commissioned by Sky, published November 2017. Sample size: 8,138 adults. Further information available. Verification under 'Best customer service' below.